Combine all the ingredients in a small saucepan. Heat over medium heat, stirring constantly, until the tomato paste blends into the water. Continue cooking over low heat for 2-3 more minutes, until it reaches a pizza sauce consistency. Remove from heat and use, as desired. Pizza night is a staple in many households, but it doesn’t always mean picking up a pizza from your favorite pizza joint. Instead, you can whip up a pizza yourself in just about the time it takes for that pizza joint to make one. (Note: Pizzas take about 20-25 minutes in the oven to cook, max). My kids love when we make homemade pizza, and I love being spontaneous about it. But how spontaneous can you be when pizza takes a special sauce? Actually, you can still be pretty spontaneous because that pizza sauce is super easy to make at home. 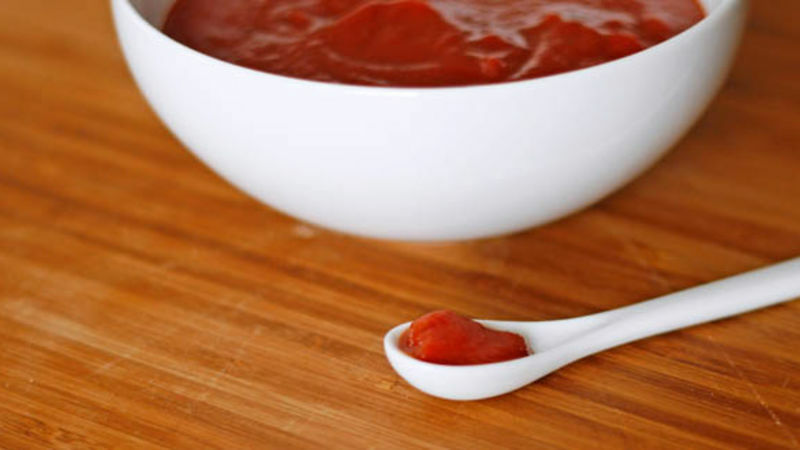 My recipe for Easy Homemade Pizza Sauce has only a few ingredients and is made with tomato paste -- a pantry staple. Now, what about the other ingredients? The dough: I usually have pizza dough in the fridge or freezer, but if you don’t have dough, you can substitute pita bread, tortillas, English muffins or French bread. The cheese: For the cheese, I always keep a bag of shredded mozzarella in the fridge, since it’s great on pizza, homemade chicken Parmesan and so much more. If you don’t have it though, provolone is an okay substitute. Or you could use cheddar instead. Toppings: I’m big on the use-what-you-have thing. So, toppings can be just cheese or whatever leftover meat, veggies or even lunch meat we have. Make it. Bake it. Enjoy it. It’s so simple. Sarah W. Caron (aka scaron is a food writer, editor and blogger who writes about family-friendly foods and raising a healthy family at Sarah’s Cucina Bella.